Want to host an event at the UK’s biggest screen? At the ODEON BFI IMAX, now you can. Make an impact at your next event. ODEON BFI IMAX features digital surround sound and an incredibly impressive screen, measuring over 20 metres high. Captivate your clients with an event of up to 498 Guests. If you’re searching for a Space that was designed to make an impression, ODEON BFI IMAX is the venue hire for you. Prestigious and accessible, London is a prime spot for your next conference. Immerse yourself in one of London’s most creative and inspiring areas, with the River Thames on your doorstep. The impressive ODEON BFI IMAX on London’s Southbank can be hired from £6,200 per day. Iconic and extraordinary, you couldn’t ask for a better venue hire. This Space offers ample facilities for the perfect conference, including air conditioning, whiteboards and breakout Spaces. ODEON BFI IMAX has everything you’ll need for a successful corporate event. Hire the ODEON BFI IMAX for your next AGM or private screening. Whatever the occasion, the central location of this venue hire can accommodate for an astounding event. This an unusual yet effective conference venue. ODEON BFI IMAX features stunning state-of-the-art technology and facilities, including 12,000 watt digital surround sound and a huge HD screen. This London venue hire is ideal for large conferences. The stadium seating provides a comfortable and luxurious setting for a large group of people. Guests will feel relaxed as they enter the Space, and dazzled by its remarkable reputation. Showcase your film, presentation or product in outstanding fashion with unrivalled audio-visual facilities. The UK’s biggest screen couldn’t be a more magnificent London venue for your next corporate occasion. The first floor foyer is also available as a reception or breakout Space to accompany your conference or screening. Treat your Guests to a drink before or after your event. Discuss the screening or product launch, or indulge in interesting conversation regarding the topic of your conference. The choice is yours. The breakout Spaces make for a prime location for socialising after business events. ODEON BFI IMAX is situated directly next to Waterloo station. This venue is conveniently central for Guests from all over London and beyond. Plush red seating guarantees a warm and welcoming ambience: the perfect partner for any occasion. With the option for either late or early access, any event from morning meeting to evening conference can be catered for within this Space. 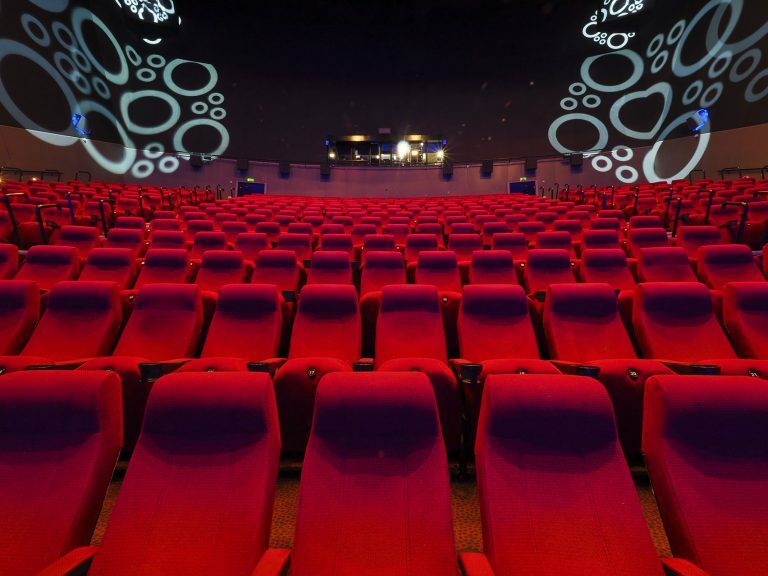 If you’re seeking a venue that boasts both a central London location and all of the facilities to make your event fantastic, hire the ODEON BFI IMAX.